Before I get into the review, let me mention how hard it was to get information on this bourbon. It reminded me of all the mystique and hype surrounding Barterhouse and the other members of the Orphan Barrel project. 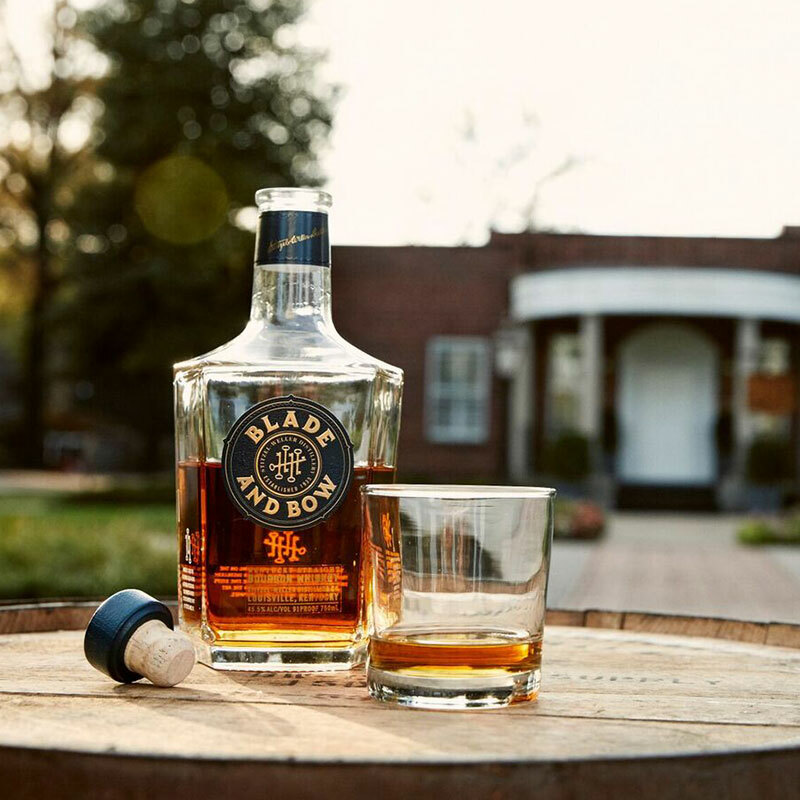 First, their marketing material rants about Blade and Bow bourbon paying homage to the Stitzel- Weller distillery, and how some of the bourbon was used from the old distillery using the Solera method. There is a lot of mystique surrounding Blade and Bow. What other bourbons are the original Stitzel-Weller barrels married with? Where did you find (even friggin more) old Stitzel-Weller barrels? How long do you let the married barrels sit? If you suspend your suspicions of whats in the bottle and just look at the bottle, its a work of art. Each bottle of Blade and Bow comes with one of five keys that represent each of the 5 steps to making bourbon. These keys are also reflected in the Blade and Bow logo, and in the name itself – the blade is the long section of a key’s anatomy, and the bow is the end or ornamental part. Blade and Bow bourbon bottles are beautiful, well designed works of art. The bourbon itself? Not so much. All that’s fun and interesting, but lets be honest – its whats in that bottle that counts! Despite the fact that this claims to be a very old bourbon mingled with some old bourbon, Blade and Bow glows with youth. The nose was light and sweet. Like rice crispy treats. You still get the baking spices that you get from most bourbons, but this one noses more on the floral side. Think dead white flowers. After the first sip, I felt the sides of my mouth sweat from strong citrus. To be so presumably old, this is a light, super smooth bourbon. Almost velvety. It sticks to the tongue and the floral flavors become toasty and nutty. I found Blade and Bow to be pleasant – but not remarkable. I got bored and frisky and threw a little soda water in midway. This was not a good idea. Water, ice, or any other fluid destroys everything about this bourbon. using it to spike some lemonade or punch might not be a bad idea, but for the price ($50 for a fifth) I expect to get a more solid bourbon. The more I drank this whiskey, the less I liked it. Its pleasantries became boring, and at $17 a pour, I didn’t feel like I got my money’s worth. I give this bourbon a C+. Here’s how we grade bourbons. If you are a new bourbon drinker, there are better values out there. If you want to impress your non-bourbon drinking guests, this will do. If you can fill in any of the information above, leave a comment. If you think my review is off the mark, leave your own review below. You might inspire me to grab another pour!